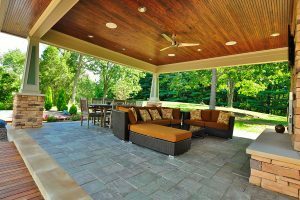 Summary: Patio maintenance relies on furniture pieces that can last throughout the year. Beautiful patio furniture can add a fantastic touch to your backyard. Undoubtedly it will bring both function and comfort to the forefront of your outdoor space. For instance, a classic wicker rocking chair and a matching sofa can turn your patio into a cozy and inviting space for your family and guests like. It’s easy to overlook your patio space and pay more attention to the landscaping aspect of your backyard. However, finding the right furniture pieces can really make your home stand out from others. This guide will dive into the fine details of sculpting your backyard into a masterpiece. First off, create a list that discusses what you would like your backyard space to look like. You’ll also want to consider its function as well. Are you turning your patio into a hosting area for birthday parties or family events? Do you want it to be a dining area for those beautiful summer nights? Create a simple list that outlines everything. This will coordinate your purchasing spree and help narrow down your options. A key factor for a comfy patio is finding the right patio cushion that displays both aesthetically pleasing aspects and is downright comfortable. Now, this may not be an easy task as numerous companies manufacture cushions by the bundle. Simply said, there are way too many options available in this day and age. If you are ordering just foam to upgrade your current patio cushion, be sure that you consult with the foam company beforehand. The customer service representatives will likely be able to assist you in what type of foam would fit best for your outdoor setting. Remember, the weather doesn’t play nice when it comes to your furniture. You’ll want to care for them as they won’t last forever being left at the mercy of the changing weather patterns. Most metal, cedar, and weather wicker pieces are designed to withstand nature’s fury. This is a crucial element when purchasing furniture because, obviously, indoor furniture pieces are vastly different than outdoor pieces. These forgiving materials will prevent you from having to replace each outdoor piece on a regular basis and could potentially even last you years on end. Replacement cushions aren’t exactly the cheapest household items that you could buy as well. Bio: The Foam Factory manufactures a variety of high quality foam products such as couch cushions, seat foam, outdoor foam replacements, and more. Sailing under the flag of Portugal, Juan Rodriguez Cabrillo is the man credited with the exploration of most of the western coast of North America. He is the first recorded European to land in what is present day California, and by many accounts discovered the area we know as San Diego. 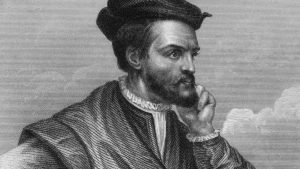 He was sailing under Hernan Cortez in New Spain, which we would know as Mexico today, and he was part of an expedition seeking gold. Cabrillo’s history is full of turmoil, benefitting greatly from slave labor as he moved from land to land. He was considered a self-made man, but history exposes the bloodshed surrounding him. Lucrative contracts, paved in slave labor and brutal crackdowns, financed his newest expeditions. Not all of his expeditions involved such brutality, and his exploration of the California coast showed his diplomatic side. Befriending natives gave him valuable intelligence on which tribes were positioned along the coasts, who would be friendly, and where he could find uninhabited land like Anacapa Island. He also discovered Xexo, which is today’s Santa Barbara County. It was ruled by an old woman who led her tribe to war against the Xucu who occupied Ventura County. Although they found Point Reyes, they missed the entrance to the San Francisco Bay. He’d established extensive trade routes by that point and looked to make landfall for supplies and repairs. He was attacked by natives, and is said to have cut his shin on jagged rock while trying to make landfall and fight them. He died January 3rd, 1543 of a gangrene infection. James Provence is an avid reader and blogger of history. Retired Archbishop James Provence currently resides in Vacaville.